Personally I feel as though Sam’s Scores has hit a crossroad. I want to continue bringing you cool finds, yet I rarely hunt anywhere other than the Goodwill outlet store. Although I do find a lot of cool stuff there, I feel a bit strange marking prices as per pound. I’ll do my best to keep the series going, but hunting anywhere other than the Goodwill Outlet store usually leaves me empty handed. Please bear with me in my continuation with the series and please let me know what you think. Enjoy! I was out at a normal Goodwill store when a glistening N64 Gameshark caught my eye. I picked it up and checked the price, it was oddly cheap so I decided to buy it. 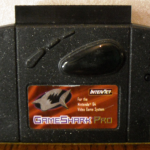 After doing some research online, promptly after walking out of the store, I learned that version 3.3 Gamesharks, which this one is, commonly brick and become unusable. I hoped that wasn’t the case and indeed, it wasn’t! 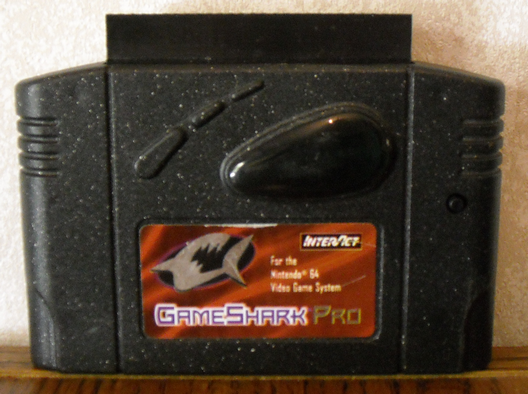 The Gameshark worked flawlessly, until I bricked it myself changing the keycode. No worries, apparently this can easily be resolved by plugging in the correct game that corresponds to the keycode I changed it to. At least I hope! Either way it was cheap enough to keep even if its shot. 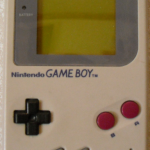 I’ve been collecting for a few years now and I’ve never run across an original Gameboy that I wanted to buy. They were all trashed beyond repair and overpriced! After finding tons of stuff at the Goodwill Outlet, I decided I could hold out, in hopes of finding one there. I prevailed in doing just that, although the system was extremely dirty, missing the battery cover and the contrast adjustment is broken. I still feel that it was worth holding out to find one, because it cleaned up really nice! 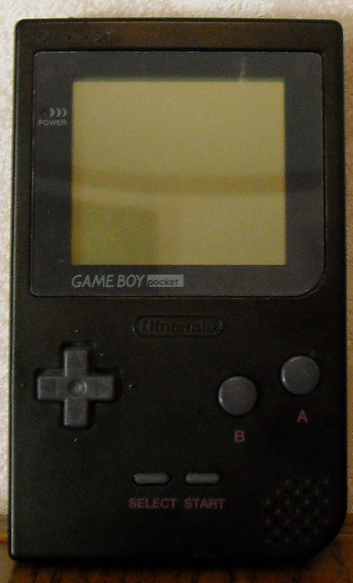 No, this isn’t an error, this is yet another Gameboy that I happened to find in a flea market. If you examine the pics closely, you’ll notice some discoloration in the screen protector for this one, as if it were super glued back into place. It was cheap enough that I figured I could use the guts and battery cover to repair my other one, if needed. 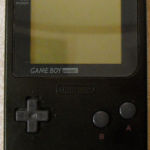 This one however worked perfectly, with the exception of missing columns which is common for these original Gameboys, after time. 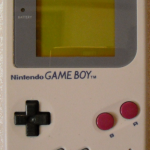 Now I feel as though I can repair both Gameboys and have 2 for way cheaper than any of the ones I had seen before. Another Gameboy, but this one fits in my pocket! 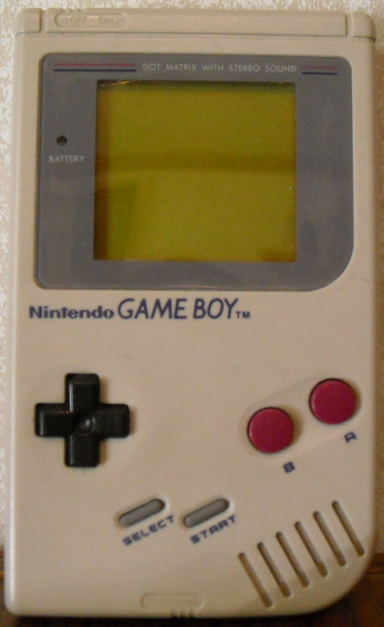 Yes, the Gameboy Pocket! I already own the silver one without a power LED, so when I saw this one I needed to own it as well. I’ll be honest, this and the previous Gameboy came together in a bag, so for half the price I’ve seen them bashed up in thrift stores or flea markets, I now have 2 decent Gameboys. This one works perfectly, but having a GBA SP and the Gamecube Gameboy Player, I’ll probably pick those over pulling this thing out.